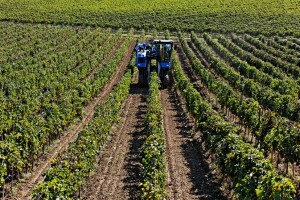 We have made the choice to harvest mechanically. 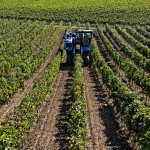 The machine de-stems the clusters. 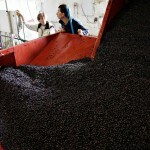 The berries fall into baskets that transport the harvest to small stainless-steel vats called “godets”. 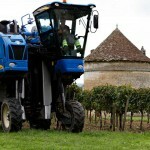 As soon as the grapes are harvested, the machine empties its «godets » into tractor bins without grinding the berries. 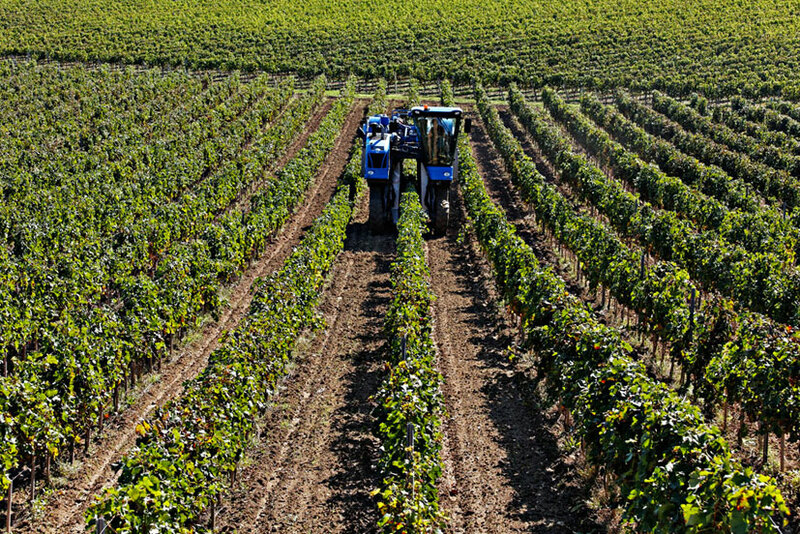 The harvest is then transported to the cellar: the grapes arrive intact in a very short period of time. Oxidization is therefore very limited and the colour is preserved. 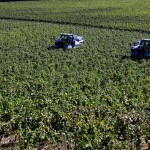 The speed of the harvesting machine allows us to obtain grapes that are of full and optimal maturity. 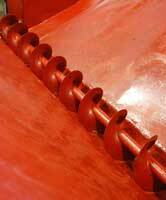 The precision of its integrated sorting mechanism selects only the best grapes. Numerous studies have shown that machine harvested grapes are cleaner than hand-picked harvests. During excessively hot periods, the machine can work in the coolness of the night, which facilitates the vinification. 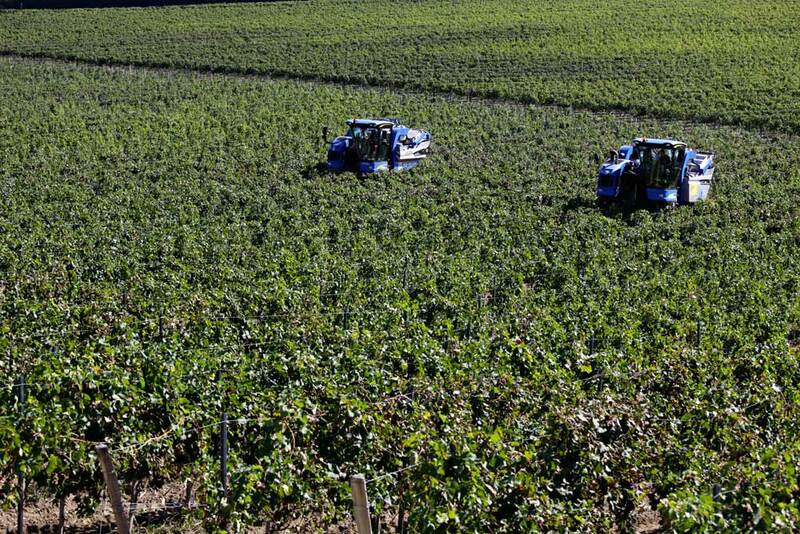 With our two machines, our complete vineyard can be harvested in 3 days. 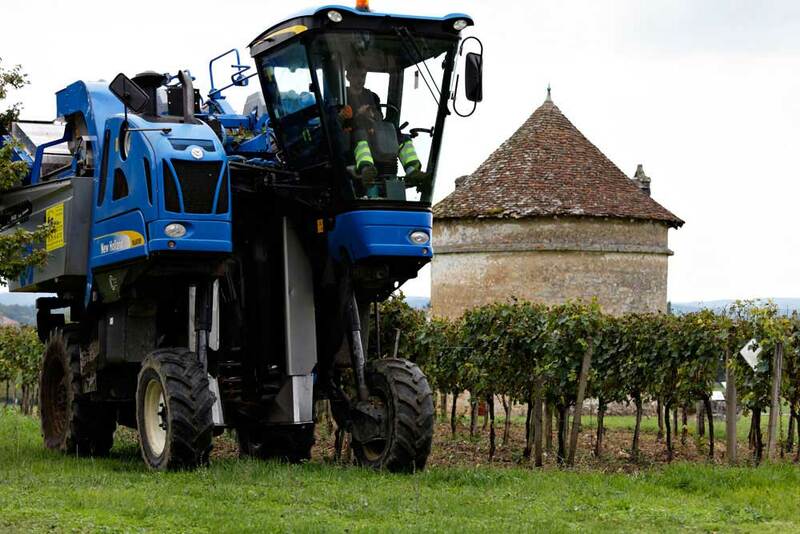 Once arrived at the cellar, the tractor empties the bin in the reception bay. A sorting system separates the few stems and leaves that remain. 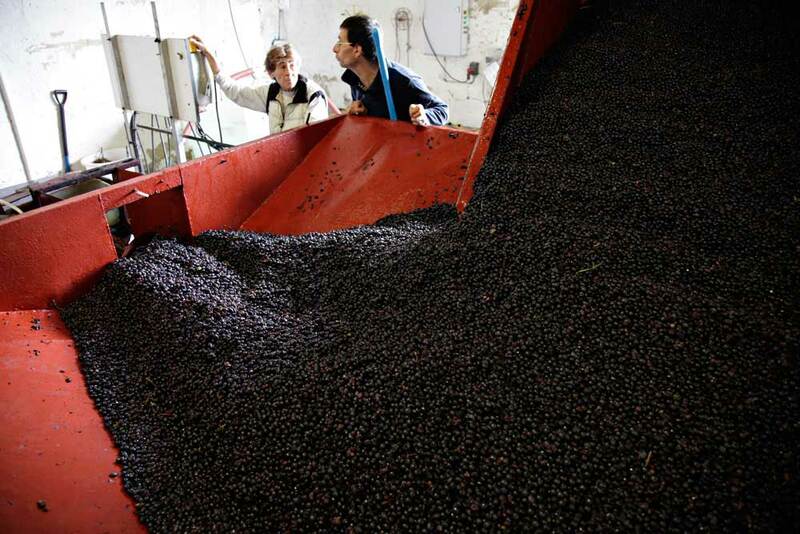 Before the filling of the vats the berries are gently burst by the crusher. 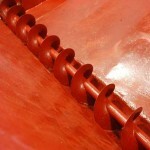 The juice in contact with the skin will provide colour during the vinification.